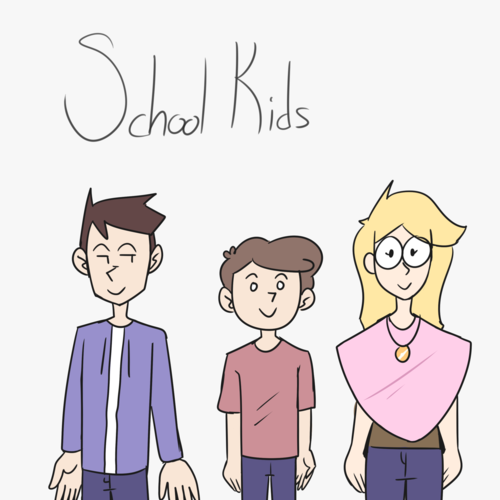 School Kids is an animated comedy series being developed by Andrew Escamilla and David Carriglitto for YouTube and other online video platforms (i.e Newgrounds). Taking place in Garfield High School, Zach and Charlie go through the struggles of being sophomores in high school in comedic ways, along with a cast of high school stereotypes that are always more than they seem. Well, some of them at least. 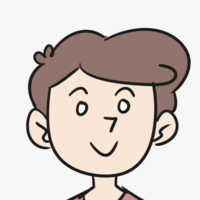 Charlie is a budding high school student, trying his hardest to balance the struggles of grades, friendships and romances. Nervous, insecure and awkward, he is the model high school student. His main romantic interest is Auroral Sunshine Moonglow (Or Sunny, for short). Despite his shortcomings, Charlie is still marching along, making his way through high school one awkward day at a time. “Psst, Zach, wanna partner up?" "Aw- what, that's not drool. My- my nips leak when I'm nervous..."
"No dude! Those are some lyrics from some eighties song!"